Frank Findlay's thoughts, ideas, passions. This is the 12th year for the toy drive and, unfortunately, the amount the children in need rises yearly. Last year there were approximately 14,000 requests and already this year they have received over 20,000 requests. That is a lot of needy children in Southern Nevada and those are only the ones that The Burn Foundation know of. If you are looking to give back this year the Toy Drive is a great way to do it! Without your generosity many Southern Nevada children will be without a Christmas present this year. The Toy Drive covers three weekends and is staffed by 300 volunteers. Help us make a difference by donating a toy - we are filling up a Silverado with toys! The Burn Foundation is asking for new, unwrapped gifts appropriate for the ages of 0-16 and/or gift cards in $10 increments. A great start to filling up the Silverado with toys! Bring your gift/toys in to help us fill up a Silverado - let us know. You will receive a $10 Gift Card as a thank you for your generosity. One gift card per family but you are more than welcome to bring in more than one toy/gift! Besides donating toys here at Findlay Chevrolet, there will be drop boxes at the following WalMart stores: Arroyo Crossing, Decatur & N. 215, 95 & Centennial, Sunset & Marks..
For more information you can email Keith Armington or call him at 702.485.6820. Since we sold the Sonic our High Performance team had built for the GRC this coming weekend - we had to build another one fast! Here it is! If you are looking for a high performance vehicle - raised or lowered truck - you need to stop by and talk with our High Peformance team or email your wish list. Our High Performance Department rocks! For more info on the GRC race this weekend click here! We are very lucky to have great people in our Findlay Chevrolet family. I look forward to receiving input from all of them. Today I received this from a very hard working person in our BDC Department and just had to share. Thanks for the kind words, Sabrina. In today’s world, going to college is almost mandatory, naturally so is paying for it. Many college students work in fast food restaurants or clothing boutiques and make barely enough to cover that large college debt. I am truly fortunate to not be one of these struggling college students. 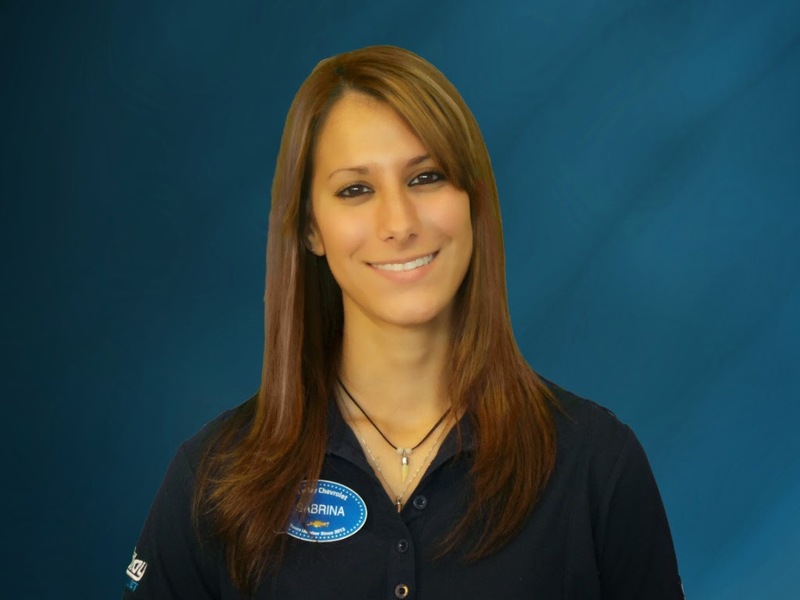 Working at Findlay Chevrolet allows me to work full time and be a full time student. Management is mindful of my changing school schedule and understands if I need to work a specific time on a specific day because of a mandatory class. I work with an amazing group of people who are always looking out for me. Findlay Chevrolet is one giant family, and everyone treats each other as such. When you speak to someone, they don’t just hear you, but they actually listen and respond to what you are saying. Sometimes, on our 15 minute breaks, my fellow coworkers will help me study for an exam for class after work. Being a full time student/ employee is definitely not the easiest thing I’ve ever done, but I couldn’t even fathom doing it if I was working anywhere other than Findlay Chevrolet. "The most rewarding part of the car business for me has been empowering and encouraging employees to extend their boundaries and achieve personal greatness far beyond what they believed was possible," nominee Findlay said. "Our organization has been blessed with exceptional expansion over the past 30 years, and we reward our staff by filling new positions by promoting existing employees whenever possible." A third-generation dealer, Findlay graduated from Valley High School in Las Vegas in 1992 and California's University of San Francisco in 1996, where he earned a degree in business. His family has been selling cars in Las Vegas since 1961, and he feels privileged to have been mentored by his father and grandfather. "I'm extremely proud of the legacy they have built for me and my family," he said. "And I'm dedicated to continue growing our family business for future generations." 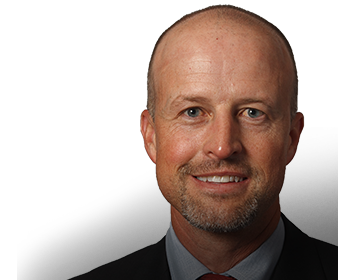 Findlay opened Findlay Chevrolet as general manager in 2006 and today is operations director for two dealerships in Henderson and one in Reno, representing brands Audi, Volkswagen and Lamborghini, which is only part of his family's dealership holdings. "We pride ourselves on the reputation we've established within our community," he said. That reputation extends well beyond the car business, as Findlay is strongly committed to bettering local life. He recently served on the advisory boards for the Boys & Girls Clubs of Henderson and the Smith Center for the Performing Arts. His work for the Boys & Girls Clubs garnered him a Golden Boy award from the local chapter in 2010, given to the incoming volunteer who had the biggest impact on the group. "I'm very proud of my contribution to this great organization which provides a safe and positive place for young people to spend time," he said. "Most of the kids are from underprivileged families and wouldn't have a place to go without the Boys & Girls Clubs." In addition, Findlay's company supports many local activities, including the University of Las Vegas athletics, Las Vegas 51s minor league baseball, Little League and Southern Nevada Soccer Association, as well as the Las Vegas Making Strides Against Breast Cancer walk. Findlay was nominated for the TIME Dealer of the Year award by Wayne A. Frediani, executive director of the Nevada Franchised Auto Dealers Association. GRC Comes To Las Vegas! 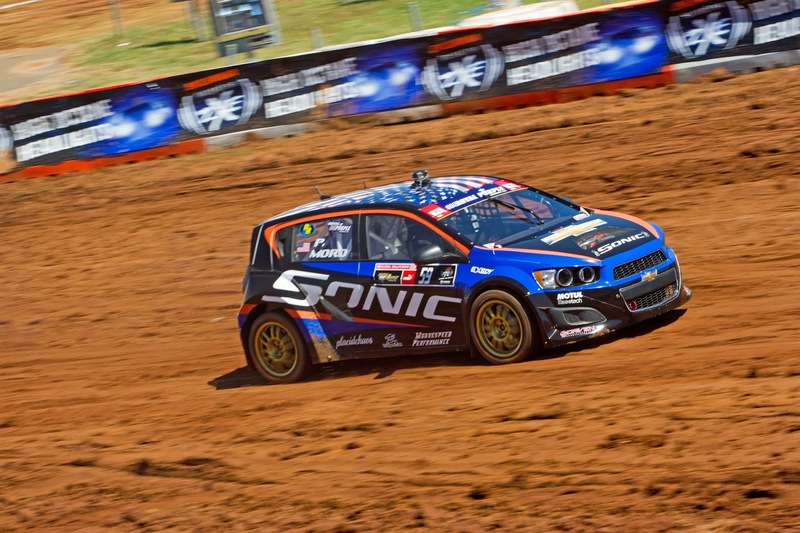 Global Rallycross, a global racing series featured in the X Games and on ESPN, will be having their season finale on the strip in Las Vegas November 6-7, 2013. We are excited to be able to watch Team Chevy and their Sonic tear up the course. GRC will be transforming the old Wet 'N Wild property into a high-flying, dirt throwing rally race course. If you are ready for 600 horsepower, bumper to bumper racing action you can't miss this event. Contact Kevin Terrell at 702.982.4000 to get your discount tickets so you can cheer on Pat Moro Racing and his Chevrolet Sonic! 12:00PM-3:00PM – Lites Heats, Last Chance Qualifier and FINALS! 4:00PM-5:30PM – Supercar Heats, Last Chance Qualifier and FINALS! Located south of the old Sahara in between Las Vegas Blvd and Paradise Rd (old Wet & Wild location). Just 2 blocks north of the Las Vegas Convention Center. 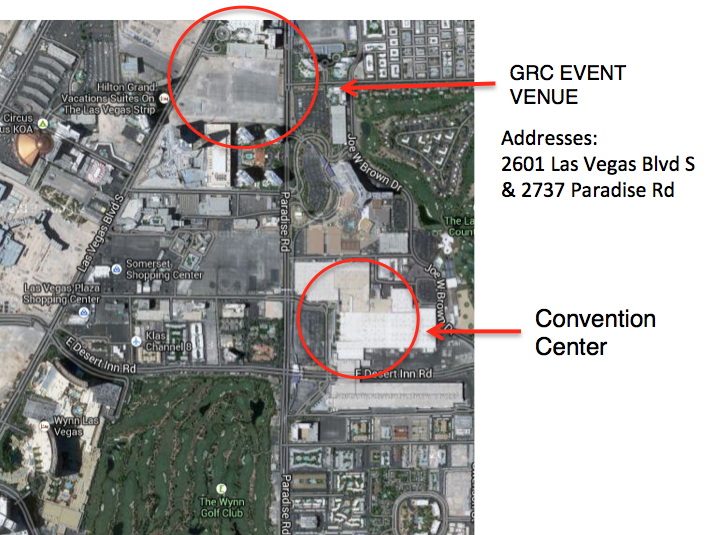 FOR SEMA ATTENDEES: Track is within walking distance, just 2 blocks north of the LVCC. Or watch for shuttles from the SEMA show to the racetrack! I thought I would re-share this article on the new Stingray. We should be getting ours any day now and the whole family is talking about it. It's a big family because here at Findlay Chevrolet we consider all of our Employees and Customers family. 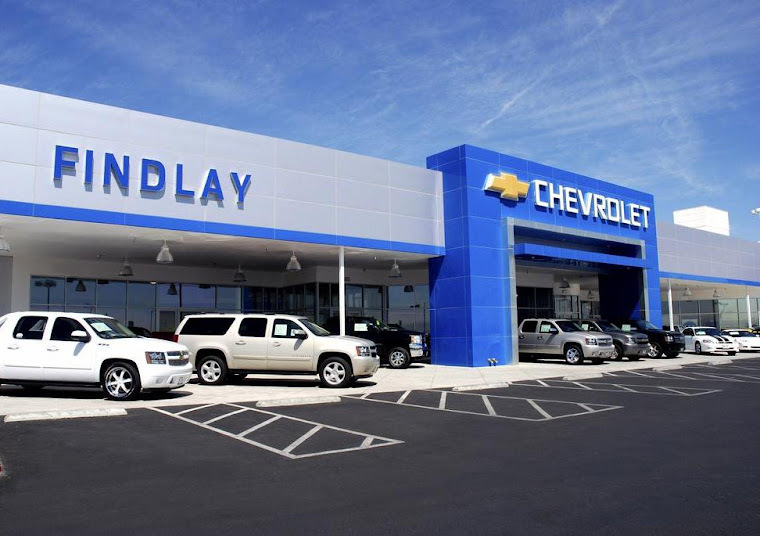 If you have any questions or want to know more about the Findlay Chevrolet family - just let us know. The 2014 C7 Corvette Stingray is one of the most technologically advanced high-performance automobiles ever to hit the streets. Five distinct driver modes electronically calibrate up to 12 performance variables to customize your Stingray with the appropriate handling and steer-ability for any road. Modes can be changed on the fly, enabling drivers to tailor the behavior of the car to any situation—an experience that’s part intuitive and part educational. The result? Drivers get maximum performance from a vehicle that can function as a daily driver, a luxury vehicle or a racecar. 1. Weather: Probably the most self-explanatory of all the modes. It adapts the vehicle to road conditions by distributing the appropriate power to the rear wheels, which promotes more confident driving in rain or snow. Tailored Traction Control is at the heart of this mode. Road: Good for many road conditions you encounter in inclement weather. Probably would be really helpful on US 24 in the heart of the Rocky Mountains or on Interstate 75 in Florida’s Everglades (a.k.a. Alligator Alley). 2. Eco: This mode is designed to conserve fuel and provide the best gas mileage. Through Active Fuel Management, it limits your car’s power when traveling at cruising speeds. An Eco index display is available. Road: Flat, open roads. For instance, Interstate 15 from Los Angeles to Las Vegas through the Mojave National Preserve or possibly Interstate 10 from Houston to San Antonio. 3. Tour: Ideal for your everyday driving, this mode offers quiet comfort (by relieving the stiffness from shock damping) during the start-stop of your daily commute. Customizable gauge cluster can display audio, navigation and phone data. Road: That one you take to and from work. 4. Sport: As the name of the mode implies, this works best when aggressive responsiveness and power are needed. Available Magnetic Selective Ride Control is stiffened but tempered (like the steering). The dashboard display changes, easily revealing RPMs, and the throttle note becomes more audible (in other words... LOUDER). Road: Tail of the Dragon, Deal’s Gap, NC. This road features 318 curves in 11 miles. 5. 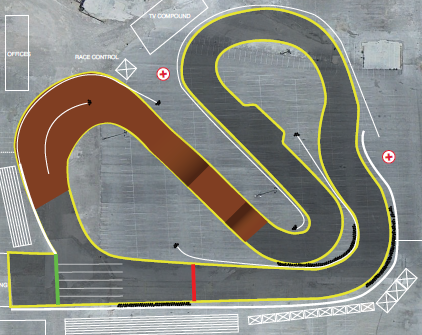 Track: Best used in autocross or on lapping days, this mode is exclusively for driving on a track. With legitimate race settings that provide maximum responsiveness (through available Magnetic Ride damping and Performance Traction Management) and throttle progression, it also displays a lap timer on the dashboard. Road: Ron Fellows Performance Driving School, Parhump, NV or Bondurant School of High Performance Driving, Phoenix, AZ. Greg Barbera of DadCentric is a dad blogger, beer magazine editor and the singer/bass player for the punk band Chest Pains. He lives in Chapel Hill, North Carolina. You can follow him on twitter @gregeboy, tumblr, Facebook and Blogger. Want to know more? Just Google him. We are so proud of you Jason! Team Findlay Chevy is doing great! Let's keep the points going! Two-time Mello Yello Pro Stock world champion Line earned his second victory of the season and first in the Countdown by outrunning Shane Gray in the final round. Line powered his Summit Racing Equipment Chevy Camaro to his second Texas Motorplex win with a performance of 6.590 at 211.16 to hold off Gray’s Camaro. 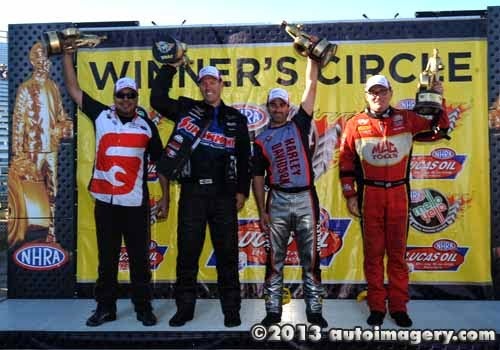 With the victory, the 31st of his career, Line claimed the Pro Stock points lead for the first time since 2011. Line outran Texas native Rodger Brogdon, reigning world champ Allen Johnson and veteran V. Gaines in the first three rounds.